Sometimes things in blogland, which I am sure are meant to encourage, only discourage me. To me this challenge is just one more "Christian woman" expectation that I don't live up to, nor do I want to. First let me say that I love clothes. If I ever have spare money again, I will buy some new, cute clothing. But right now it is not a priority. And at this stage in life spare money for coffee trumps cute clothes every time. But this is not really about clothes. It is the mindset out there that I should be put-together. The mindset that we, as women, should be put-together. I put my make-up on in the car on the way to church. And on the rare night out with friends or The Hubs. My priorities each day are getting the laundry done, the dishwasher unloaded, and oh yeah, the kids loved and educated (both my own and the ones I am called to watch). So I'm going to be a little frumpy because I spend my day getting snotted on, spit up on, and baby-food dribbled on. And I'm not ruining my good clothes on that. Plus, I spend 92% of my day on the floor, and shoes and cute clothes are not compatible with that. If I DO dress nice (and there are days I do, even baby-sitting days), it is because I want to. I could never be married to man who needed me to be put-together, especially in the line of work I am in. So maybe this is just my issue, but could we as Christian women stop telling each other what a good wife/mom does unless we can clearly back it up with Scripture? And I'm preaching to myself because while I can find fault with the no-frump-month-challenge, I know in my heart I have thought or said, "A good wife/mom/Christian does/doesn't do such-and-such." But it was based on my opinion. There are enough comparison traps in the world, in the Church ... we don't need another one. I think this challenge hits women where they are most vulnerable, and that makes me sad. Let's stop the guilt-trips. Let's encourage one another instead to know that it is okay to have Cheerios on the floor, to keep the fingerprints on the coffee table, to order pizza when dinner burns, and to walk around in sweat pants and bare feet 365 days a year. *I am not writing this to be a jerk. In the past, I have read other things by this blogger that I like. I just feel like there are probably other women out there who read about this challenge and may feel the same way as I do and need some encouragement. I did comment on the blog about this challenge, and respectfully let the author know that I disagreed with this challenge. But it is a free world, and I think if women want to do this, good for them! But don't feel like less of a woman if it is not your thing. Amen sister! I'm wearing NO makeup, hair pulled back in sloppy ponytail, in a t-shirt and sweatpants. I gave up long ago searching for a cloth and just go ahead and use my sleeve to clean up a quick mess. I live in a nice town in Virginia, and often (not always) the moms at my church/community look SOOO put together! HOW do they do it??? I think it's a southern thing. Well, call me a yankee, 'cause I'm a mess!! They are giving me the courage to be real about what is already on my plate. You know I struggle with the same thing girl. I have THREE BOYS UNDER FIVE! Once my husband finally broke down and asked me to buy new underwear. Yes. I just put that on the internets. Anyway, I get what you're saying. I think it's a personal thing, with personal standards, that sometimes, your husband speaks into. I agree with your point of view (and I am rocking a headband/pony tail with Yoga pants today). But I will just throw a counter point of view out there.....it is true that the way you dress does affect your demeanor and attitude. My company has several call-centers with a business dress code. Sounds silly...the callers can't see what you are wearing, right! But studies supposedly show that business dress leads to more professional interactions with customers. For Moms on to go, the key is to find that balance. Wear clothing that makes you feel good and do your job well....whatever it is. 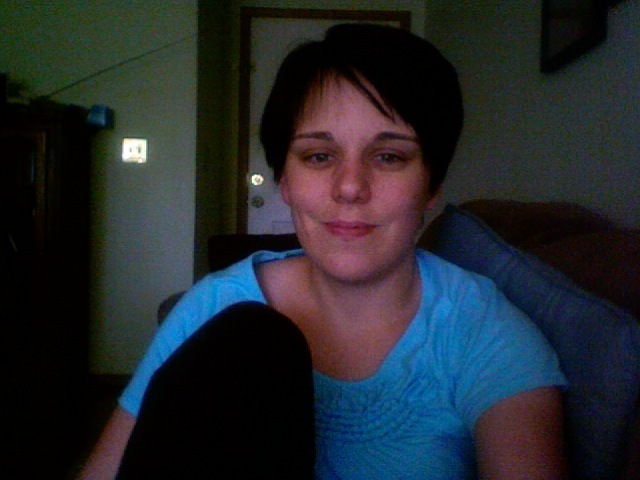 I think its a good idea to experiment with non-frump and see if it changes anything for you. If it does...great. If not...that's ok too. But Moms are sometimes struggling with feeling good about themselves and I think a change in clothing (or routine, or peers) can help bring some sanity to a world that often feels out of control. Me? I am in the Yoga pants today...but I aspire to wear real jeans and a sweater tomorrow!